In honor of Paris-Roubaix, the Hell of the North, which runs tomorrow, April 10, 2011, here’s the course map for the Colorado version of Paris-Roubaix. 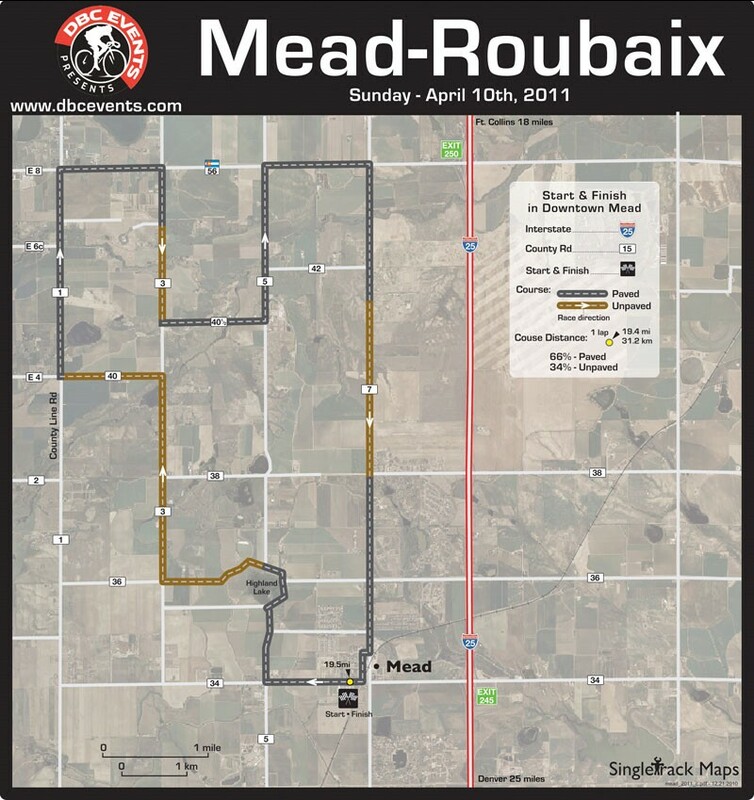 Promoted by DBC Events, this is the first year for Mead Roubaix. Mead is a small town just 25 miles of Denver on I-25. In years past, race director Chris Grealish has organized Boulder Roubaix but wanted to give local residents and roads around the Boulder Reservoir a rest. The route features a 66/34 mix of road and dirt, including a steep, 295′ climb four miles before the the finish/lap line. Weather tomorrow predicted to be wet and cool, with highs in the mid-50s and a 60% chance of rain. Find carnage photos from the race here.